I received my green card in Aug 2014 and I know officially I can apply for the US Citizenship after 5 years i.e. Aug 2019. I wanted to know if we could apply certain months in advance from the date of eligibility? If someone has done that, I would really appreciate the guidance. Up to 90 days before the 5 years is up. "You may file Form N-400 ninety (90) calendar days before you complete your permanent residence requirement if your eligibility for naturalization is based upon being a: • Permanent resident for at least 5 years; or • Permanent resident for at least 3 years if you are married to a U.S. citizen. To determine your 90-day early filing date, begin by identifying your 5-year or 3-year date as a permanent resident. 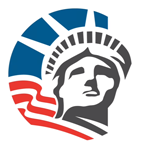 For example, if the date on your Permanent Resident Card says “July 4, 2006,” you meet the 5 year permanent resident requirement on “July 4, 2011.” If you have met all other eligibility requirements, you may file your completed Form N-400 90 days before “July 4, 2011.” The earliest date you may apply for naturalization would be “April 5, 2011.” Locate the USCIS Early Filing Calculator on the USCIS website at www.uscis.gov/n-400. The calculator will help you verify that you file your Form N-400 with USCIS no more than 90 days prior to your permanent resident anniversary date. USCIS will deny your Form N-400 if you file your Form N-400 more than 90 days prior to your anniversary date." You can apply up to 90 days before the 5-year continuous residency mark, provided that all other requirements are fulfilled at the time of applying. Note that it is 90 days, not 3 months. And it is advisable to have a little buffer, i.e., not applying at the earliest day, but waiting a few days. Sometimes there is a miscalculation of the days, and people have gotten denied if they filed just 1 day too early.